Kegan refers to his theory as the “personal unfolding of ways of organizing experiences that are not simply replaced as we grow but subsumed into more complex systems of mind” (Evans et al., 2010, p. 178). Baxter Magolda defines self-authorship as “the internal capacity to define one’s beliefs, identity, and social relations” and answers the three following questions (Evans et al.,2010, p.184). How do I know? Who Am I? How do I want to construct relationships with others? In order to develop a strong internal foundation, students need to trust the internal voice and build an internal foundation. How does this theory apply to student development professionals? “Students who worked with advisors who encouraged reflection in goal setting and intentional planning and discussed with students their nonacademic life experiences were more likely to develop abilities and perspectives associated with self-authorship” (Evans et al., 190). 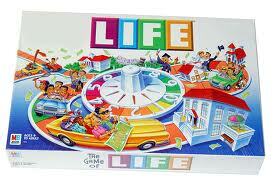 If you have ever played the board game LIFE, Schlossberg’s Transition Theory won’t come as a big surprise. Like LIFE, transition theory helps adults process and grow from unexpected (real) life turns. Good question! Goodman et al. (2006) defines a transition as “any event, or non-event, that results in changed relationships, routines, assumptions, and roles.” Transitions can be positive or negative experiences and endues positive or negative stress, emotions or reactions. Transitions are all about perception! (and only exits in definition to the individual experiencing it). Very important! The three transitions types are anticipated (such as expecting to graduate for college), unanticipated (divorce, sudden death, not being accepted to graduate school, etc.) or a nonevent. Transitions have context and are determined by the individuals relationship to the environmental setting in which the transition is occurring. The impact of the transition varies depending on the alterations it causes in an individual’s daily life. Transitions usually occur as a series of phases, which are called “moving in,” “moving through,” and “moving out.” Transitions are a process and occur over time. The four factors that affect one’s ability to cope with transition are: situation, self, support and strategies. Go ahead, spin the LIFE wheel. Maybe you’ll be lucky enough to draw the Student Development Professional career card paired with $100,000 per year! This page was written and created by Ashlie Baty. Please use the comment section below to ask questions, provide reflection, discussion and/or feedback. To contact directly about this page, please see Ashlie Baty at ashliebaty@gmail.com. This is usefule information for Student Affairs professional to cope with daily support and assistance to college student development.